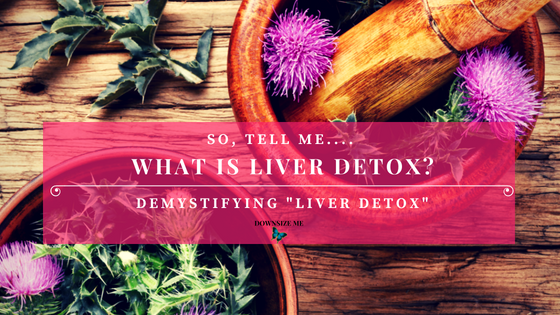 If you have been asking yourself “what is liver detox?”, I’m here to help you demystify it. It seemed to be the subject of interest the whole night, even the men had a few words to say about it. So, What Is Liver Detox, Exactly? Our lives are full of toxins. We are super busy, stress has become the “norm”, and we rely on convenience at every corner. Apart from the free radicals roaming around your body, a busy life makes it challenging to eat fresh, find time to exercise, sleep and rest when we need to. On top of that, we are unwittingly exposed to thousands of chemicals in the air, water and from our food. The growing awareness of these issues has led to our desire is to lead a cleaner, healthier lifestyle. This explains why so many people are interested in so-called “detoxing”. They want to get rid of the “nasties” in their body so that they can improve their liver health and weight loss. A healthy functioning body protects itself by either removing internal and external toxins through our eliminative organs—the lungs, liver, colon, kidneys, and skin—or by storing them in tissues where they do the least amount of harm. But our systems can get “clogged up”, such that the accumulated toxins stay in the body, build up and can contribute to short- and long-term problems. Your liver, which resides in the right side of your abdomen, just below your diaphragm, weighs around 1.5 kilos and is the biggest and busiest internal organ in your body. Eliminate excess hormones and keep your metabolism firing. What Causes A Sluggish Liver? A poorly-functioning liver can lead to lethargy, nausea, fever, weakness, jaundice, depression, allergies and digestive problems and skin problems (1). In fact, if you are overweight, it often means that your liver is not functioning as optimally as it should. In the long term, these factors can contribute to an inflamed, sluggish, fatty or diseased liver which struggles to perform its main role in your body – detoxification. Your daily life and choices can overload the liver leading to poor health and disease. A range of conditions can prevent the liver from performing its vital functions. Your liver’s job is discarding excess hormones and keeping your metabolism fired up. If your liver can’t quickly deactivate and discard excess hormones from the blood, the toxins and hormones remain in your body. Your liver, digestive system and kidneys do most of the detoxification work in your body. Your liver acts like a filtering and cleansing device for your blood. Your body excretes the toxins through urine, faeces, sweat and breath. But your liver has many other important roles, like energy supply, fat breakdown, cholesterol production (2). In other words, a healthy liver means can perform all its required functions, with ease. A so-called “liver detox” provides your liver and body a short rest by reducing the amount of toxins that require processing. With fewer toxins in your body, you temporarily reduce the stress and burden on your liver and allow it some ‘time out’ to recover. Let’s look at toxins, and how liver detox works. Also, your liver can easily become congested and irritated by a poor diet (3). When your liver is under pressure from these things (so-called ‘toxins’), it doesn’t work so well. How Does Liver Detox Work? Removal of toxic substances and their by-products from your body. So when you ask, “what is a liver detox?” – it usually involves a short-term eating and supplement protocol – usually 14-21 days – that will help remove toxins from your body. This normally includes plenty of whole, unprocessed foods with a focus on lots of fresh vegetables and lean proteins. Liver Detox, Health and Weight Loss – What’s In It For You? One of the first things most people notice when doing a liver detox is a large shift in your mood. And because detoxing involves cutting out alcohol and caffeine, you may also notice your energy levels balance out and your mind become clearer and more focused. Sleep often improves, as well: many people find relief from even chronic insomnia during a detox. Whether you’re trying to drop unwanted kilos or flush out unwelcome toxins, you need a healthy liver to make it happen (3). Your liver is a major fat burning and hormonal balancing organ and in a sluggish and overweight body, metabolic support is important. Making more energy-giving nutrients available to your body and reducing strain on your digestive and immune systems. If you have fatty liver, excess visceral (belly) fat or those hormone imbalance signs and symptoms I mentioned above, then a standard diet probably won’t work and will simply leave you feeling frustrated and wanting to give up. But there IS something you can do. You can pull out the big guns so that you can follow a more-specific, short-term plan to harvest your internal, dangerous fat stores and normalize hormones first (3), so that you can lose weight successfully. Its free. And it might change your life. I help you put down your fork and pick up your life. Want some help to put down your fork and pick up your life? 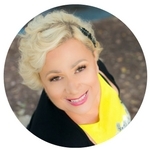 Book a confidential mini-coaching call with me.